Wanda Group’s continuous investments in sports will bring about the first international marathon in China, along with other top-level marathons to occur all over Asia, Channel News Asia reported. Basketball star and former NBA player Stephon Marbury announced that he is parting ways with the team that gave him the break in the Chinese Basketball Association. Kang Kyung Ho, Yoshihiro Akiyama, Zhang Lipeng, Ev Ting and Mark Striegl are the most handsome Asian MMA fighers in 2017. Changchun Yatai finally struck a victory in the Chinese Super League after streaking past Henan Jianye 1-0 on Sunday. 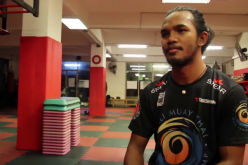 Muhammad Aiman, 22, has yet to have his third professional MMA win. The Malaysian fighter has a message to his fans after losing to Filipino fighter Danny Kingad, 21, via unanimous decision in the flyweight division at “ONE Championship: Kings of Destiny” on April 21, Friday. It appears that all is well between Ev “E.T.” Ting and Eduard “Landslide” Folayang after the “ONE Championship: Kings of Destiny” MMA bout. The former was not able to dethrone the latter as the ONE lightweight world champion on April 21, Friday, in Pasay City, Philippines. Gina “Conviction” Iniong had her fifth MMA win at “ONE Championship: Kings of Destiny” on April 21, Friday, at the Mall of Asia Arena in Pasay City, Metro Manila, Philippines. She defeated her fellow Filipino fighter Natalie “Kilapino” Hills via unanimous decision in the strawweight division. 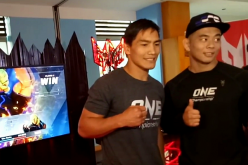 Two MMA fighters are still undefeated after participating at the “ONE Championship: Kings of Destiny” MMA event on April 21, Friday, at the Mall of Asia Arena in Pasay City, Metro Manila, Philippines. One of them is Danny “The King” Kingad, 21, of Team Lakay. 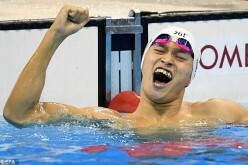 Olympian Sun Yang once again proved his mettle in the waters by dominating the 2017 Chinese National Championships. 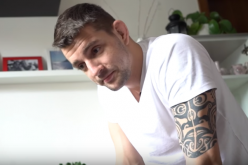 Jaroslav Jartim, 24, is the only fighter from Czech Republic participating in “ONE Championship: Kings of Destiny” at the Mall of Asia Arena in Pasay City, Philippines, on April 21, Friday. He and Filipino fighter Honorio Banario, 27, will battle it out in the lightweight division. Esports events will now be added in the 2018 and 2022 Asian Games. 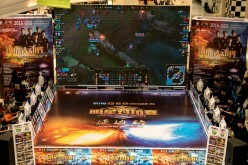 The category's inclusion was made possible through the partnership of Alibaba and the Olympic Council of Asia. 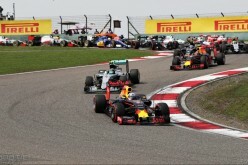 The recently concluded Shanghai Grand Prix has renewed interest in motor racing in China, an analyst revealed. Famous footballer Carlos Tevez is now under fire after being spotted at Shanghai Disneyland on the day he missed a game due to an injury. 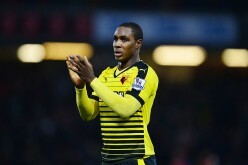 Chinese fans expressed their disappointment on social media. Li Yongbo is stepping down as head coach of China's national badminton team. 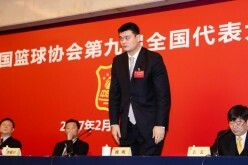 New Chinese Basketball Association (CBA) President Yao Ming wants to create two national teams as part of the preparations for future competitions.